Hi everyone, it’s Midori from the MOSHI MOSHI BOX Harajuku Tourist Information Center. Isn’t the food in Japan recently way too cute? 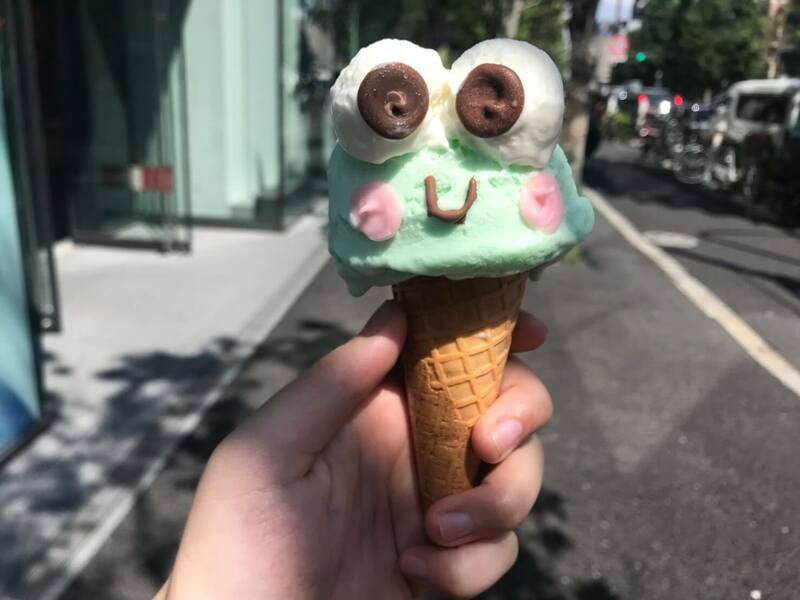 Especially in Harajuku – they have a lot of cute ice cream shops there selling items so cute they almost seem a waste to eat. A new shop with this very description just opened in Harajuku so I went to check it out! 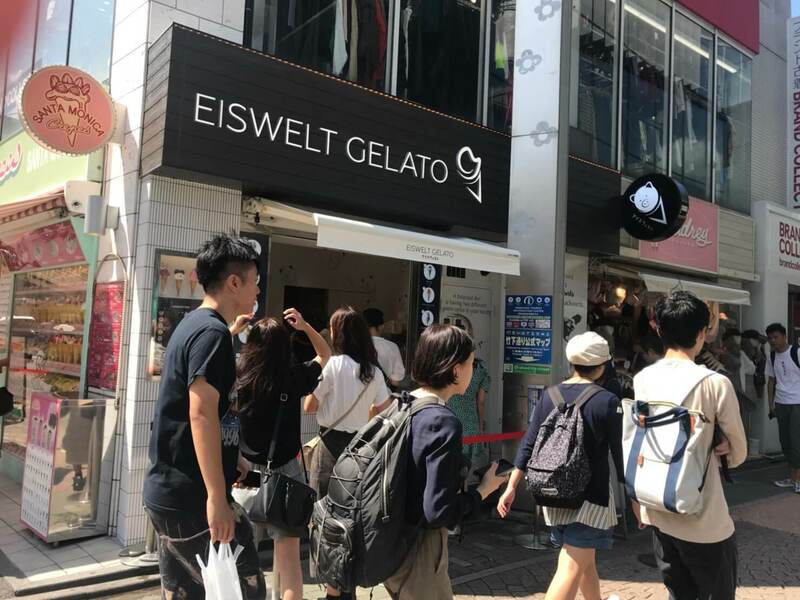 The name of the shop is Eiswelt Gelato, a chain that first opened on Huntington Beach in California. It’s located along Takeshita Street opposite Harajuku Station. It’s packed even on weekdays! This is how the menu looks. All the gelato sold here is shaped like animals. 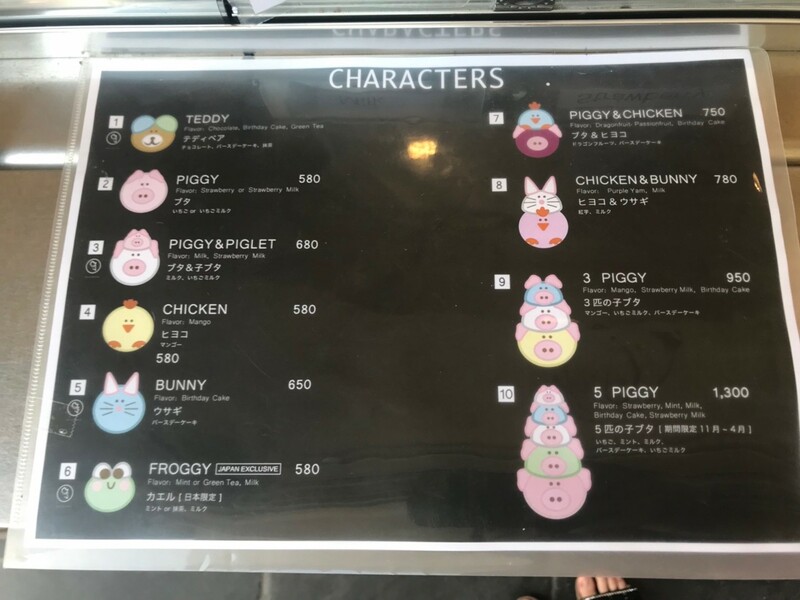 I ordered “Froggy” which is available only at this Japanese branch. You can pick from either mint or matcha flavours. I went with mint. 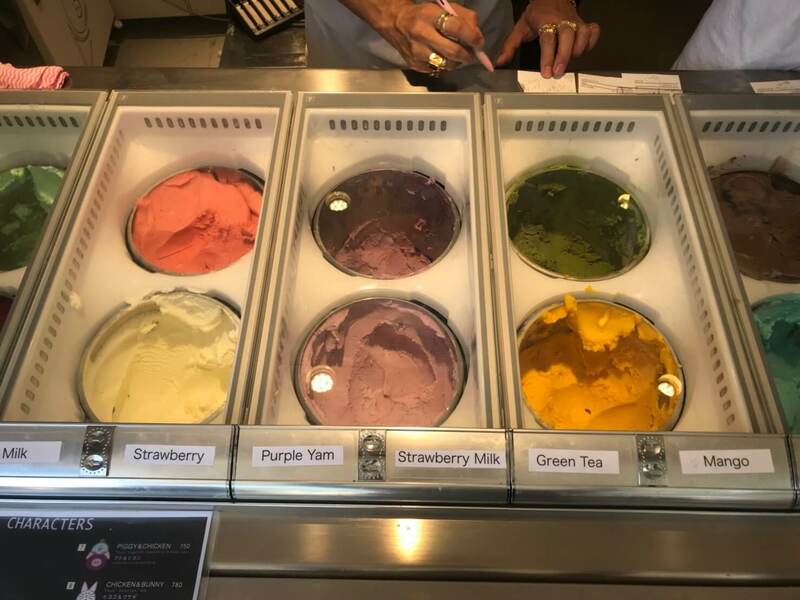 The ice cream at the counter is super colourful. It’s a lot of fun waiting for your finished gelato to be made! After taking my order the lady carefully drew the frog’s face on. This is how it came out! It’s definitely something that came from California but it also has that cute Japanese character element to it. It’s charming and something that will be popular with girls. It seems a waste to eat but I had to! 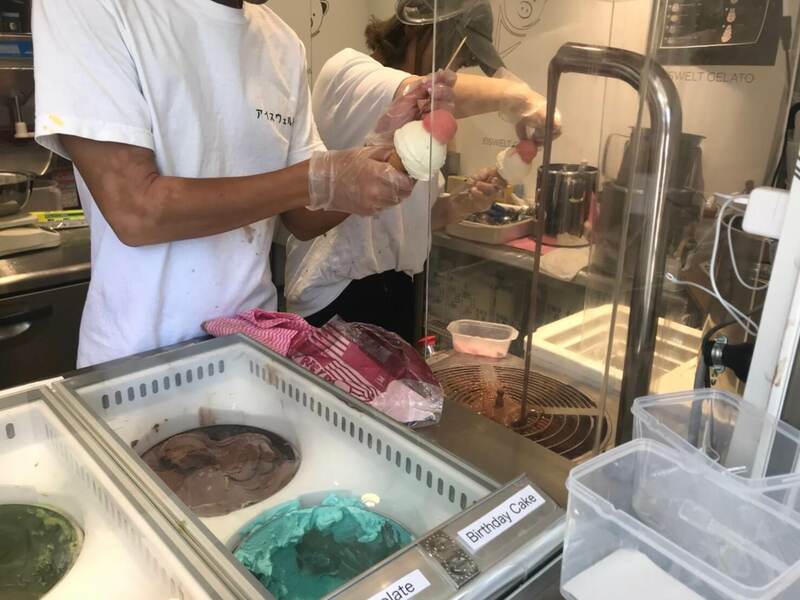 Gelato has less milk than regular ice cream but the flavour of the mint really comes through. It’s crazy delicious. I said it was a waste to eat earlier but I completely devoured it. Visit there yourself to get your hands on some new sweets that aren’t just cute but tasty too!